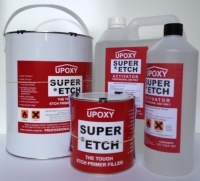 Upoxy Super Etch primer is a fast drying, high solids, isocyanate free and chromate free tough two-pack etch primer filler. 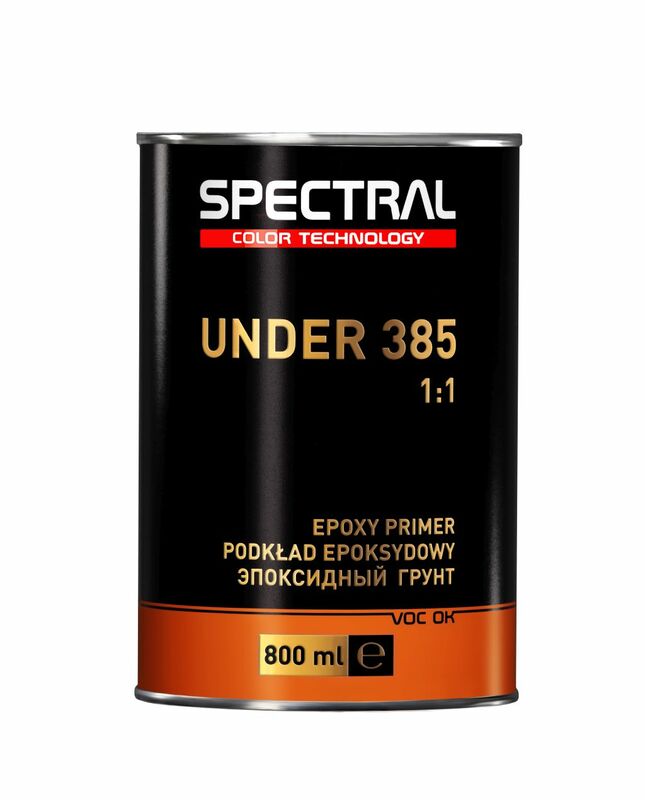 It possesses good corrosion inhibiting properties and absolutely superb adhesion. a) Bare steel, Stainless steel, Aluminium, Zintec or Galvanised Metals. Panel wipe is not sufficient, must be thoroughly degreased and scuffed with machine sander (P180/220). New Galvanized steel should be treated with a T-Wash.
b) New panel primer, sound and thoroughly through hardened old finishes, polyester filling materials, ETC. 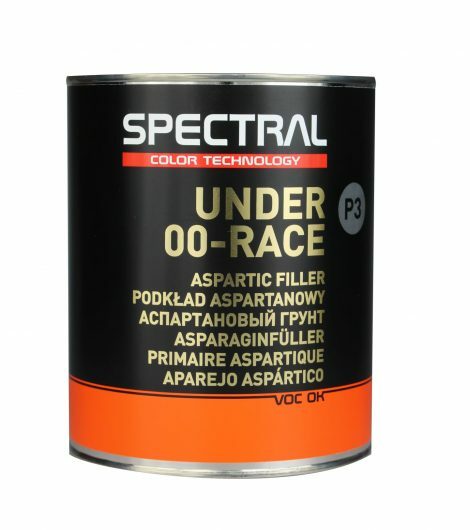 Thoroughly degrease and flat with wet or dry paper (P280/380). c) G.R.P. (Fibreglass) or Rigid Plastic Bumpers and Panel. Thoroughly degrease and scuff with machine sander (P.180/220) where applicable. d) Thermo plastic acrylic – Super Etch can be applied over TPA but cellulose top coats are not recommended as there may be a reaction with TPA if heavy wet coats of colour are applied. Care should be taken with two-pack solid colour, and clear over base systems over TPA. Heavy coats applied wet on wet should be avoided. Normal coats should be applied allowing flash off times as recommended by the manufacturer.